Sad Story of the Banda-Chelva Pact: How the B-C Pact was Formulated, Signed and Abrogated. The “Good Governance” Government of President Maithripala Sirisena and Prime Minister Ranil Wickremesinghe has embarked upon a historic exercise to enact a new Constitution for Sri Lanka. The consensual approach being adopted will see Parliament convening as a Constitutional Assembly as and when required to engage in Constitution making. The Speaker Karu Jayasuriya will preside over the Constitutional Assembly sessions.A steering committee headed by Prime Minister Wickremesinghe has been appointed. Sub-committees for various aspects are also being set up. The current Constitutional Assembly is a significant departure from the Constituent Assembly set up by the Sirima Bandaranaike led Govt to formulate the 1972 Republican Constitution. It is envisaged that the present Constitutional Assembly will in due course after consultation, debate and deliberation , draft a bill to enact a new Constitution and present it to Parliament. Among the key objectives of the Constitution making process are the abolition of the executive presidency, bringing about electoral reforms and finding a durable political solution as an answer to the long standing Tamil national question. While the resolution of the first two issues do not seem to pose a problem at this juncture , the third issue namely a political settlement to the so called ethnic problem, could prove to be a challenge difficult to surmount. In fact there is a possibility that in a bid to achieve Sinhala majority consensus the legitimate aspirations of the long suffering Tamils could once again be short changed in Constitution making. Though it may seem premature at this point of time the fate of the original draft resolution to convene a Contitutional assembly is by itself a straw in the wind indicating possible direction in the future. 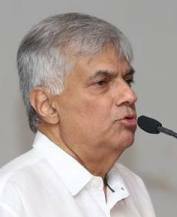 The initial draft of the resolution to set up a Constitutional assembly was introduced by Prime Minister Ranil Wickremesinghe in January this year. Subsequently the resolution draft underwent much change through amendments proposed by the Sri Lanka Freedom Party (SLFP), Joint Opposition consisting of United Peoples Freedom Alliance (UPFA)and the Janatha Vimukthi Peramuna(JVP). The changes were due to a desire of the Govt to achieve widespread consensus for the constitutional exercise. Consequently the resolution was passed unanimously.Constitutional Affairs expert and parliamentarian Dr.Jayampathy Wickramaratne has told the media that such changes to the original draft would not affect the essence of the resolution. As a result of these changes the preamble in the original resolution draft was done away with. A salient feature of this preamble was the specific reference about providing a Constitutional resolution of the Tamil question. Now it has been removed. This however does not mean the issue of addressing the Tamil question is no more. Since the unanimous resolution is for a new Constitution the ethnic problem too can and will be on the table for discussion. Yet the explicit reference that was in the original draft preamble may have provided greater hope and confidence that the Tamil issue would be addressed satisfactorily during Constitution making. Furthermore the deletion also gives rise to fears that the issue could be sidelined in order to gain majority consensus. Such anxiety and fears on the part of the Tamil polity is understandable when viewed against the backdrop of post – independence politics in the Island. There have been many instances where well-meaning attempts to resolve problems of power sharing started off with an optimistic bang only to end pathetically in a pessimistic whimper. A sad but significant example of such past failures is the fate of the much acclaimed pact signed by former Prime Minister SWRD Bandaranaike and Foremost Tamil political leader of the time SJV Chelvanayagam. The agreement popularly known as the Banda- Chelva pact or B- C pact was hailed as a great achievement at the time it was signed,Unfortunately it was honoured in the breach and confined to the dust bin of history within two years of it being signed.The circumstances that led to the signing of this pact almost 60 years ago are well worth re-visiting in order to gain greater insight into the troubled state of inter-ethnic relations prevailing in the country. It was on July 26, 1957 that the then Prime Minister Solomon West Ridgeway Dias Bandaranaike and Samuel James Velupillai Chelvanayagam, the leader of the Ilankai Thamil Arasu Katchi(ITAK) – known as Federal Party (FP) in English – signed an agreement that came to be known as the Banda- Chelva or B-C pact.The B-C pactÿwhich intended resolving some of the major grievances facing Sri Lankan Tamils, was the first of its kind in the post-independence history of the country. The historic 1956 General elections had seen a deep polarisation between the Sinhala and Tamil communities. While the Mahajana Eksath Peramuna joint front headed by S.W.R.D. Bandaranaike swept the polls in the south, the Federal Party led by S.J.V. Chelvanayagam won six out of nine seats in the north and four out of seven in the east. One of the first acts by the new government was the enshrining of Sinhala as the sole official language of the country. On June 5 1956 Tamil Satyagrahis peacefully protesting at Galle Face were beaten up by thugs as the police did nothing. Anti-Tamil violence erupted in several parts of the country. On June 15, Sinhala was made the only official language by a vote of 56 to 29. 1. The establishment of an autonomous Tamil state or states on a linguistic basis within a Federal Union of Ceylon. 2. The restoration of the Tamil language to its rightful place, enjoying absolute parity of status with Sinhala as an official language of this country. 3. The restoration of the citizenship and franchise rights to the Tamil workers in the plantation districts by repeal of the present citizenship laws. 4. The immediate cessation of all policies of colonising the traditionally Tamil-speaking areas with Sinhalese people. The convention resolved that one years time be given the government to respond positively to these demands. If there was no response the FP was to commence a ‘direct action’ campaign of non-violent protest. The deadline given was August 20, 1957. The year 1957 dawned with much friction over the issue of the ‘Sri’ letter in vehicle number plates. The earlier system was to use English alphabet letters from the country’s name CEYLON (CE, CL, CN, EY, EN etc). Now the new government wanted it to begin with the Sinhala ‘Sri.’ The Tamil politicians resented this as a form of Sinhala imposition. They protested and demanded that the Tamil ‘Shree’ also be substituted. Ironically there was no letter ‘Shree’ in theTamil alphabet. The ‘Shree’ used was derived from Sanskrit. On January 19 the FP began an anti-Sri campaign in the northeast. Vehicles began running with Tamil letters. The ‘Sinhala’ Sri was changed into the Sanskrit derived ‘Tamil’ Shree. On February 4 the FP observed Independence Day as a ‘black day’ of mourning. A hartal paralysed normal life in the northeast. Nadarajah, a volunteer in Trincomalee was shot dead when climbing the clock tower to tie a black flag. A counter-campaign began in the Sinhala majority provinces. Tamil letters were tar-brushed or blacked out on street signs and name boards. There were widespread incidents of communal friction on a minor scale.The FP also called for a boycott of government ministers and deputy – ministers visiting the northeast for ‘official’ purposes. Satyagrahis would surround places where ministers were scheduled to go and curtail movement. With increasing communal tension the country seemed to be heading for a blood bath. S.W.R.D. who was arguably the most intellectual of all Sri Lanka’s prime ministers realised that the situation had to be checked and reversed. He understood that the Tamils had genuine grievances that had to be redressed.Bandaranaike, the man who espoused federalism for Sri Lanka in 1926 knew that effective power sharing was the only solution. He now proposed extensive de-centralisation through the setting up of Regional Councils. It is widely believed that the Regional Councils scheme was introduced by Bandaranaike as a result of the B-C pact. Actually, a draft bill for Regional Councils was published on May 17, 1957. The B-C pact came later in July.After presenting the Regional Councils Bill S.W.R.D. wanted to arrive at an understanding with the Tamil leaders and modify it further. Meanwhile the FP was getting ready for its ‘direct action’ campaign scheduled to begin on August 20. Volunteers numbering 25, 000 were registered.Some Sinhala leaders began a move to mobilise 100, 000 volunteers to combat the Tamil campaign. A major showdown seemed inevitable.It was then that saner counsel prevailed. A meeting between S.W.R.D. and S.J.V. was mooted. It was done on the personal initiative of the Prime Minister himself. Two Tamil lawyers, P. Navaratnarajah QC and A.C. Nadarajah arranged for the rendezvous. Navaratnarajah was a personal friend of both S.W.R.D. and S.J.V.AC Nadarajah was a vice-president of the SLFP. From the government side Finance Minister Stanley de Zoysa played a commendable role in promoting this dialogue. The first meeting was held on June 22 1957 at the Premier’s residence in Horagolla. S.W.R.D. himself came up to Chelvanayagam’s car and helped him get out. Both men seemed to realise the gravity of the situation.Those present on this historic occasion were S.W.R.D. 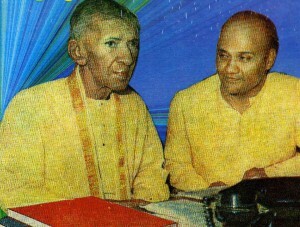 Bandaranaike and Stanley de Zoysa from the government; Navaratnarajah as an intermediary; S.J.V.ÿ Chelvanayagam, C. Vanniyasingham, N.R. Rajavarothayam, V.A. Kandiah, E.M.V. Naganathan and V. Navaratnam from the FP. The FP appreciated Bandaranaike’s position but insisted that provisionary arrangements on the status of Tamil will have to be made. S.W.R.D. concurred.When the question of power sharing arose the FP presented its case for a federal state. The FP pointed out that S.W.R.D’s own viewpoint in the ’20s that federalism was the ideal solution had been a source of inspiration for the party in demanding federalism. S.W.R.D. replied by saying that though he espoused federalism then he had subsequently changed his mind. Besides he had no mandate for introducing federalism. “Could not the FP think of an alternative solution short of federalism that would redress Tamil grievances and address aspirations?” he queried.The FP understood the Prime Minister’s situation and agreed not to press for a federal solution. Both parties agreed to seek ways and means of power sharing within the parameters set out by the Choksy Commission report on de-centralisation and the draft bill on Regional Councils. The PM then suggested that the FP should come up with alternative proposals envisaging ‘massive de-centralisation’ but not ‘federal autonomy.’ The FP agreed and departed.The FP consulted former Law College Principal Brito Muthunayagam and Alfred Jeyaratnam Wilson, the son-in-law of Chelvanayagam. Wilson then a university lecturer went on to become political science dean at the Universities of Peradeniya and New Brunswick in Canada. Interestingly Brito Muthunayagam felt that the status of Northern Ireland in Britain was the ideal model to follow. The Northern Ireland parliament was subordinate to the British parliament but retained a lot of powers not amounting to federalism. The FP was given a copy of the Northern Ireland Constitutional Act by the Law College principal. Wilson provided copies of the constitution of several federal countries.Former Kopay MP. C. Vanniyasingham and ex-Kayts MP. V. Navaratnam set about drafting an alternative scheme. The FP leaders accomplished the task in three days and forwarded the draft through Navaratnarajah for S.W.R.D’s perusal. The Ulster model influenced the draft greatly. The northeast was to be a subordinate state with a unicameral legislature and cabinet. External affairs, defence, currency, stamps, customs, inter-regional transport, would remain with the central government.Block grants would be made by Colombo while domestic taxation could also supplement revenue. Policing was a state responsibility.The subordinate state would be represented in Colombo through elected MPs. There would be a central cabinet minister for Tamil affairs. The second round of talks was at S.W.R.D’s Rosemead Place residence. Chelvanayagam, Vanniyasingham, Naganathan and Navaratnam represented the FP. Bandaranaike pointed out that the proposals in essence amounted to federalism.He suggested that the scheme be whittled down in point form to emphasise administrative de-centralisation. He also objected to words like ‘parliament’ and ‘cabinet’ saying they smacked of a separate state. The FP then returned and revised the document by summarising proposals in point form. 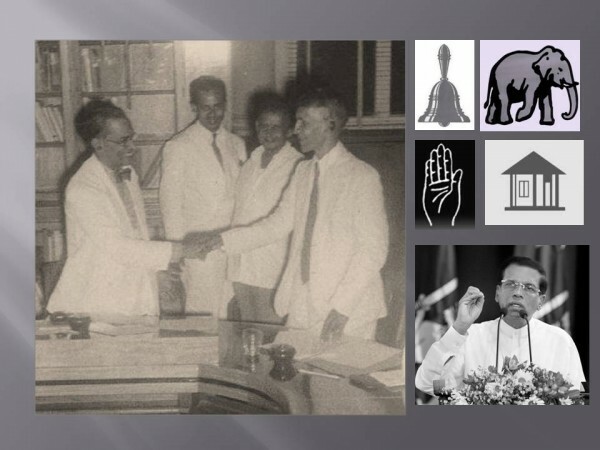 Since the Regional Council concept was a brainchild of Bandaranaike the FP replaced ‘parliament’ with ‘regional council.’ ‘cabinet’ was substituted by ‘board of directors.’ The substance of the original proposals was retained to a great extent.Thereafter a series of discussions took place among Stanley de Zoysa, Navaratnarajah and FP leaders. The PM did not participate but proposed many changes through his representative Stanley de Zoysa. The FP was persuaded to accept most of them though they diluted to some extent the original proposals. But on one point the FP remained firm.The FP wanted the northeast to form one single regional council. S.W.R.D. was willing to allow the north to be one unit but he wanted the east to be separate with two or more units.The man who was adamant on this issue was FP strategist V. Navaratnam dubbed as the ‘golden brain’ of the FP. Finally A.C. Nadarajah persuaded Navaratnam to accept a compromise. The north and east were to be separate councils with the provision to amalmagate if so desired. The conclusive meeting took place on July 25, 1957 at the Prime Minister’s office in the old Senate building. Several cabinet ministers were in attendance. Many FP leaders also participated. Navaratnarajah the ‘facilitator’ was also there. It began at 7 p.m.The cabinet ministers were firm that the status of Sinhala as official language should not be eroded. After protracted discussion a compromise was suggested by William Silva that Tamil be recognised as the language of the national minorities. Tamil was to be the language of administration in the N-E.
On the unit issue the FP consented to the premier’s stance that the north be one council and the east be divided into two or more councils. The councils could merge if desired even cutting across provincial boundaries. Existing boundaries could be re-demarcated if necessary.When it came to powers of the council several ministers led by Philip Gunewardena refused to delegate their powers. The FP members retired to another room while cabinet ministers sorted out the issue. Subsequently ‘line’ ministers agreed to devolve their powers. The PM was willing to stop colonisation and also agreed to land settlement procedures satisfactory to the FP.On the question of citizenship Bandaranaike stated that he would resolve the issue through discussions with plantation Tamil representatives. He suggested the FP should “leave it at that.” The FP complied.It was well past midnight now and July 26 had dawned. At 2 a.m on July 26, V. Navaratnam read out in point form the agreement reached. Both sides formally agreed. S.W.R.D. then turned to S.J.V. and said “Chelva they want to hear from you.” Chelvanayagam said an agreement had been worked out and that the details will be given by the PM.Bandaranaike then asked the press whether there was time to catch the printing deadline. Joe Segera of Lake House shouted spiritedly that special arrangements had been made to print late and wanted the full details. S.W.R.D. then read out from V. Navaratnam’s notes. The press persons asked FP leaders whether they were satisfied. Naganathan, Vanniyasingham, Rajavarothayam and Amirthalingam replied in the affirmative.Chelvanayakam then stated that the FP would postpone its ‘direct action’ campaign scheduled for August 20. The press rushed out and the morning papers came out later than usual with the full text of the agreement. The evening papers came out earlier than usual with more details.It may be hard to believe but the funny thing was that no pact had been signed by Bandaranaike or Chelvanayakam at that point. There was no B-C pact. It was like a gentleman’s agreement Chelvanayagam and Navaratnam returned to the FP Leader’s residence at Alfred House Gardens. It was there that Navaratnam pointed out that there was nothing concrete in writing that an agreement had been entered into. There would only be media reports. S.J.V. then suggested that Navaratnam take some rest and handle the matter in the morning. Getting up early morning, Navaratnam drafted in triplicate, the terms and clauses of what is known as the Banda-Chelva pact now.It was in two parts. Part A – was a summary of discussions and agreements reached. Part B – was about the structure, powers and composition of the proposed Regional Councils. Chelvanayagam then took the copies and went at noon on July 26 to the Prime Minister’s office. It was there that the old Thomians – Solomon and Samuel – endorsed the historic agreement known as the Bandaranaike-Chelvanayagam pact. It was done quietly away from the media glare.Bandaranaike had one copy and Chelvanayagam the other. Navaratnam the ‘draftsman’ kept the third copy. Years later Navaratnam told this writer in a conversation at his son Mohan’s house in Toronto, the sad tale of how that copy of the “historic document” was destroyed by EPRLF militants during the Indian Army period.It was at his residence in Jaffna which the EPRLF had taken over then. 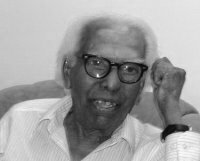 Navaratnam, the driving force behind theÿB-C pact also told me that the FP was not happy with all aspects of the agreement but compromised in a spirit of pragmatism.The veteran Tamil leader who split from the FP in 1968 and founded the Tamil Self-Rule party passed away at the age of 97 in Montreal, Canada in 2006. In retrospect the B-C pact seems to have been one signed by leaders who realised that the ethnic problem had to be resolved if the nation was to realise its full potential.There was also a sense of urgency then to arrive at an understanding in order to contain the rising mood of ethnic confrontation in the country.Sadly the pact was never implemented. There was much opposition to it. The agreement signed by SWRD Bandaranaike and SJV Chelvanayagam in 1957 was a significant event in the political history of post-independence Sri Lanka. The Prime minister of the day and the leader of the biggest Tamil political party had come to an understanding which if implemented may have helped contain the ethnic conflict at its nascent stages.The agreement known generally as the “Banda-Chelva pact” was never allowed to work because of political opposition in the South. The opposition came from hardliners among the Sinhala Buddhist clergy and laity as well as hawkish elements among both the Government and opposition. 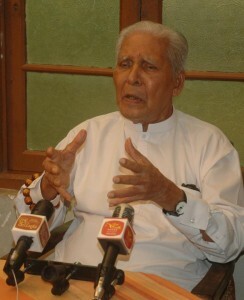 The United National Party( UNP) was vehemently opposed to the B- C pact calling it a sell-out of the Sinhalese. The UNP had only eight seats in Parliament being buried in the landslide victory of SWRD in 1956. With Sir John Kotelawela becoming a mere figurehead and Dudley Senanayake inactive it was Junius Richard Jayewardena ’s task to revive the UNP’s flagging fortunes.Just as SWRD rode to power by playing the communal card ,JR too resorted to communalist politics to discredit the new regime. Jayewardena seized on the B-C pact as a vulnerable target and began whipping up communal frenzy against it. JR led a protest march against the BC pact from Colombo to Kandy on October 3rd 1957 .Former Gampaha MP S.D.Bandaranayake blocked the march with his supporters at Imbulgoda along the Colombo –Kandy road. There was a hectic stand-off and a large number of Policemen were deployed to maintain peace. Subsequently JR was told that the march was totally banned and no individual would be allowed to proceed on foot. So JR called off the march officially.Thus ended the infamous Kandy march of JR. Thereafter SD Bandaranaike was described on political platforms as the “Imbulgoda Veeraya” or Hero of Imbulgoda. SD himself called it a people’s victory and said that he had initially blocked the march with only twelve people and that gradually hundreds of people had flocked in support voluntarily.Though the Kandy march was aborted the event was a watershed in the sense that it focussed negative attention on the B- C pact effectively.JR’s Kandy march was the forerunner that helped foment adverse public opinion against the B- C pact. On the Tamil side , the All Ceylon Tamil Congress(ACTC)led by G.G. Ponnambalam (snr) that opposed to the ITAK also protested against the B-C pact for its own reasons.The act of sending new buses to the north with ‘Sinhala’ Sri number plates provoked the FP into commencing a tar brush campaign again. This evoked counter measures in the south. 200 Buddhist priests and 300 others squatted outside Bandaranaike’s house on April 9, 1958 demanding the pact be revoked.Finally S.W.R.D. caved in and repudiated the pact unilaterally, tearing up a copy to symbolise it. He blamed the FP tar brush campaign for his action. Both Bandaranaike and Chelvanayagam entered into the agreement to avoid an ethnic conflagration. Yet a month after the BC pact was aborted ethnic violence erupted on a large scale.The ethnic crisis deteriorated into open war and the country kept bleeding for many years. The B-C pact was a golden opportunity to resolve the problem at its early stages through a political settlement based on power sharing principles.solution Yet it never worked or was allowed to work. In fact it never ever got off the ground.